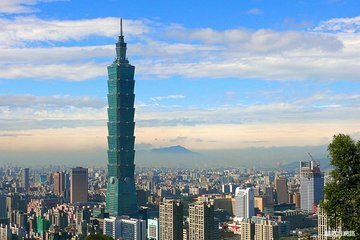 Home to famous skyscrapers, vibrant food districts, and other key attractions, East Taipei is one of the city’s most popular areas. This small-group tour makes for a perfect introduction. Begin at the Chiang Kai-Shek Memorial Hall, and continue to Yongkang Street, a popular culinary mecca. Enjoy beef noodle soup for lunch before heading to Taipei 101: once the world’s tallest skyscraper. After ascending to its observation deck you’ll head to Din Tai Fung for a dumpling dinner. Finish your day out at the Tonghua Night Market.